This is the fourth in a series of Dairy Financial Driver Profitability Quick Tips. Raise only the right heifers.—Between feed, labor, production, capital and overhead costs, herd owners have reported spending approximately $1,860 to $2,263 for each heifer raised.3 This could easily be one of the top expenses, which means raising the right heifers is crucial. Genomic testing that can determine susceptibility to calfhood and mature cow diseases can help you invest in heifers that have a better chance of adding short-term and long-term value to your herd. Guard against scours and bovine respiratory disease (BRD). —Scours and BRD are responsible for decreasing calf and heifer survival rates and increasing age at first calving. Scours is responsible for up to 56.5% of mortality among pre-weaned dairy calves. Calves that survive scours can face lifelong setbacks, including delayed growth, and are slower to reach the milking string as heifers.4,5 If a calf has pneumonia during the first 90 days of life, it is more likely to have increased mortality before first calving as well as a higher age at first calving, among other challenges.6 Proactive management and vaccination of healthy pregnant cows and heifers with an injectable vaccine, such as SCOURGUARD®, or an oral vaccine given to calves before colostrum uptake can help prevent scours. And early detection of respiratory disease symptoms and treatment with an antibiotic approved for use in calves, if needed, can help prevent chronic infections for better lifetime productivity. Optimize your reproduction program.— Getting heifers inseminated as early as possible can have an enormous impact on age at first calving. And, it will get them to the milking herd sooner. Simple steps can be taken to help improve management of your heifer reproduction program: Move heifers to the artificial insemination (AI) pen based on age. Then, on the date of the move and again 10 to 12 days later for heifers not yet inseminated, use LUTALYSE® HighCon Injection (dinoprost tromethamine injection) with your veterinarian’s recommendation. Finally, as heifers are moved to the breeding pen, conduct routine pregnancy checks so you can identify pregnant females to move out and any open heifers to re-enroll into your breeding program immediately. Zoetisis the leading animal health company, dedicated to supporting its customers and their businesses. Building on more than 65 years of experience in animal health, Zoetis discovers, develops, manufactures and commercializes medicines, vaccines and diagnostic products, which are complemented by biodevices, genetic tests and a range of services. Zoetis serves veterinarians, livestock producers and people who raise and care for farm and companion animals with sales of its products in more than 100 countries. In 2018, the company generated annual revenue of $5.8 billion with approximately 10,000 employees. For more information, visit https://www.zoetisus.com/. 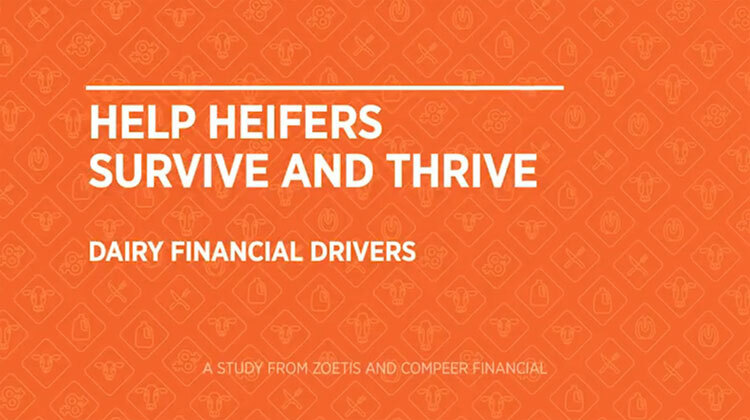 * Results based on average herd size of 1,087 from Zoetis/Compeer Financial study. 1Lormore M. The case for a quality dairy replacement program, in Proceedings. NRAES Dairy Calves and Heifers: Integrating Biology and Management Conference 2005. 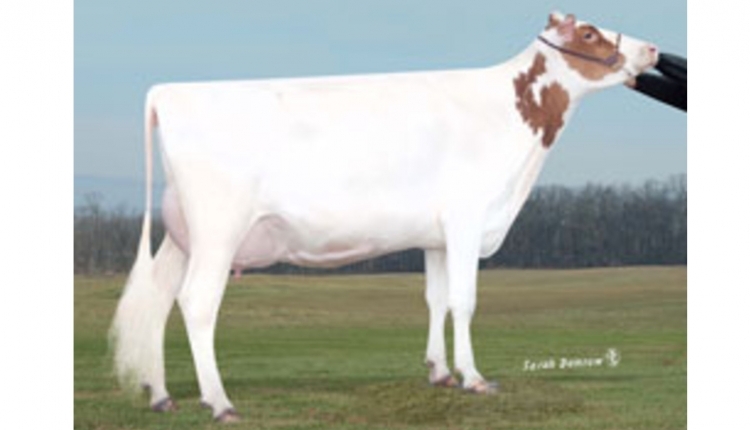 2 Lormore M. What Drives Financial Success on a Dairy? Parsippany, NJ: Zoetis; 2018. 3Cornell University, College of Agriculture and Life Sciences. Dairy Replacement Programs: Costs & Analysis 3rd Quarter 2012. https://ecommons.cornell.edu/bitstream/handle/1813/36889/DairyReplaceCost12-3.pdf. Published February 2014. Accessed August 9, 2018. 4 USDA Animal and Plant Health Inspection Service, National Animal Health Monitoring System. Dairy 2007: Heifer Calf Health and Management Practices on U.S. Dairy Operations, 2007. https://www.aphis.usda.gov/animal_health/nahms/dairy/downloads/dairy07/Dairy07_ir_CalfHealth.pdf. Published January 2010. Accessed August 9, 2018. 5 Donovan GA, Dohoo IR, Montgomery DM, Bennett FL. Calf and disease factors affecting growth in female Holstein calves in Florida, USA. Prev Vet Med. 1998;33(1-4):1-10. 6Stanton AL, Kelton DF, LeBlanc SJ, Wormuth J, Leslie KE. The effect of respiratory disease and a preventative antibiotic treatment on growth, survival, age at first calving, and milk production of dairy heifers. J Dairy Sci. 2012;95(9):4950-4960.